Guest post by Simon Wieczner, CEO, Snowbound Software. In today’s concierge economy there is an increasing number of things available on-demand at our beck and call. TV shows and movies, car services, local dining hot spots, even directions, are all accessible at the ready. With the proliferation of voice commands, typing has even been removed from the equation in certain instances. Patient portals aren’t quite there yet but the consumerization of IT has forever changed user expectations and unfortunately, left many industries struggling to catch up. For the healthcare industry specifically, it’s been a hard pill to swallow as organizations have gone after the various government incentives offered through the HITECH Act. 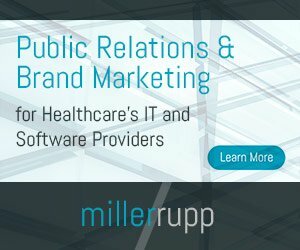 As those organizations have found out, the trail from paper-based records to fully digital portals can be a long and weary journey, but if the lofty consumer expectations can’t be met, the impatient patients will rear their ugly heads and make meaningful use requirements an even more elusive prey. The good news is that there are ways for healthcare organizations to make their patient portals seamless and efficient without having to develop an extravagant user experience that is on par with an Apple operating system. When developing a patient portal, first and foremost, ease of use is of the essence to minimize the time needed for patients to accomplish tasks. Patients have very short and finite attention spans that are easily surpassed if they have to jump through too many hoops. Stage 2 meaningful use requirements included secure messaging, the ability to access and download electronic information, reminders sent for preventative and follow-up care, and general education materials. These are all very basic tasks, but the parallel consumer experiences are incredibly user friendly, fast and intuitive. The key point to make is that the majority of patients really only need one of those criteria met for patient portals … speed. If patients can get what they need quickly, they are often satisfied. It’s not a social network, it’s a tool, so building patient portals with speed in mind is key to driving the patient engagement percentages required to meet the meaningful use standards. Given that so many of these processes are document heavy, streamlining the document viewing process is a key piece of the pie. That document viewing part of the puzzle centers on the fact that patients benefit if only one method is needed to view the multitude of documents used in the healthcare realm. Records, prescriptions, X-rays and charts; the list goes on and on, not to mention the different digital formats in which the documents are often stored. Add to that the complexities involved when different organizations have different approaches to creating and storing these documents and the potential for complications and problems starts piling up quickly. Unfortunately, the place where all of these complexities converge is the patient. Portals need to be able to handle all of these document types with ease and again, quickly. HTML5 technology is a huge boost to this process as it enables browser-based document viewers to be easily integrated into patient portals. This means that any patient with an Internet connection and a standard browser can easily access any of their documents. There is no need for additional software downloads, such as Microsoft Word or Adobe Acrobat or even an image viewer, which is often the last straw for patients before giving up on the system completely. Using a browser-based front-end for document viewing will also address the issue of device compatibility. Patients frequently need to access information while at the doctor’s office or on the go via tablets or smartphones. The physicians themselves often like to access documents from those devices as well so it’s important to ensure that device compatibility will not be a roadblock. By leveraging HTML5 technology, hospitals and providers can ensure that any document will be able to be accessed by any device for the foreseeable future. While this is a huge gain in terms of addressing impatient patients, it also lightens the load tremendously on what are often overstretched IT teams. Back-end technical issues because of overstressed IT departments that prevent patients from using the portal for any period of time put a black mark on the whole process and that mark is hard to erase. Patients need to know the portal is reliable and secure, and credibility on both of those fronts is hugely diminished by downtime. However, the reverse is also true and a reliable patient portal can go a long way in keeping the patient coming back to the portal whenever it’s needed. For healthcare organizations struggling to increase patient engagement impatient patients are often the bane of their existence. However, if they step back and simply address the speed issue, they will make huge strides in getting patients the on-demand experience they have come to expect from the consumer world. It’s not an easy task but with the help of HTML5 technology and browser-based front ends, organizations should be able to conquer the challenges associated with the array of document disparities. Then they can look at Stage 3 Meaningful Use requirements with the added confidence gained from minimizing roadblocks and creating a seamless, intuitive experience.